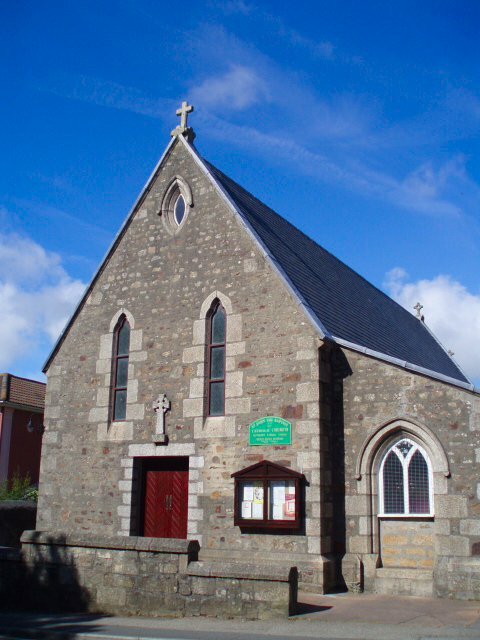 The Church is fairly small and can scarcely cope with its current Mass attendance. 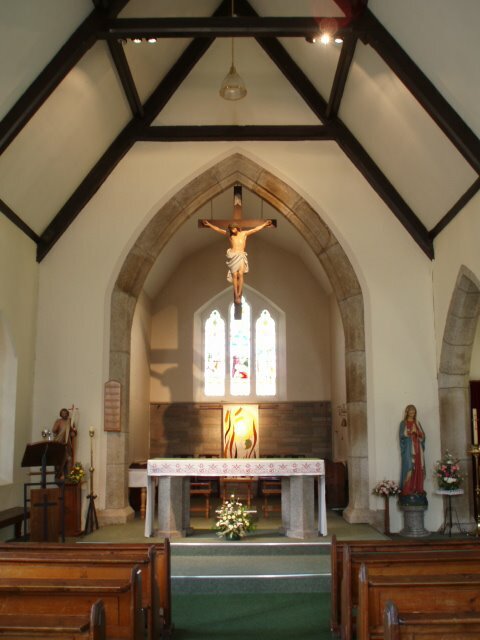 The interior has suffered somewhat from the liturgical reforms of recent decades. 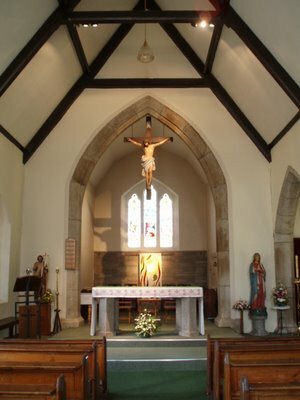 The tabernacle has been removed from the centre of the Church to the side aisle - there can be no practical reason for this in such a small parish Church. 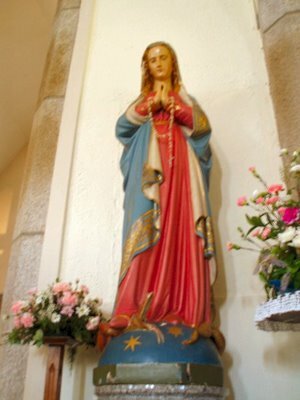 The statue of Our Lady is standing on a small plinth between the two aisles and the centre of the Church is marked by an undistinguished modern banner. If he is able to, I'm sure Fr Chris would love to make the obvious improvement of moving the Blessed Sacrament to the centre of the Church and setting up a chapel in the side aisle to house the statue of Our Blessed Lady. The statue is particularly fine but I had to get down on the floor to get a view of what it is meant to look like. This morning, I concelebrated with Fr Chris at the school Mass. A very well-behaved class of children took part in the liturgy with reverence, read clearly and intelligently, and sang with gusto. A credit to their teacher and to Fr Chris.